Nehemiah was working on the wall as well as leading the people. He had great responsibilities and with his position of authority came the right to certain perks. However, he didn’t allow access to the perks to cloud his compassion for the people. Being aware of the heavy burden the people already carried, he chose not to add more by demanding his allowances. Instead he trusted God not only seen his acts of service but would reward him for it. Reading this passage of scripture I think about those in positions of leadership in our government and churches. 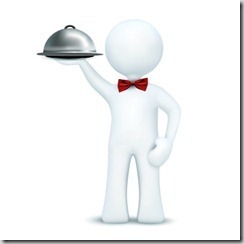 Do we have leaders really seeking to serve or be served? Rather we hold an official office or not, each of us have been called to a life of service. Have we made our every day living about seeking to have our needs and rights met or are we aiming to be of service to others? Hi LaVonna, wow what a divine coincidence that we would write on similar subject matter today, although we have had that happen on several occasions. For some reason I couldn’t see the link to comment when visiting/reading your post even after refreshing my screen several times. In and out of the church some folk are serving without compassion but does that mean with do any with the institution of church? I don’t think so. However, I do believe it is wise to move our position we see that we are standing around in “messy marshes”. I’m so stirred up today, Wanda. You have said two important words: wise and position. As we work out our own salvation and shine our lights so others will be drawn to the Savior, wisdom and positioning are key. Jesus himself is our best example of this. He knew His time was limited on Earth, and there are many instances where He used wisdom and positioning (both with opposition and supporters) to put His time to the best use for the greater good. May we be filled with divine wisdom and guided by the Spirit of God as we position ourselves to make the best use of every opportunity to serve with compassion. Amen, LaVonne. Far too often I think we can stay in a position because that is what is expected of us or because it’s one of comfort. But Jesus sought not either to fulfill the expectations of many of the religious people nor the comfort of being a part of the crowd. It is our position and relationship with Christ that matters most. For it is through Him alone that salvation comes. Blessings to you. You always give me so much to think about. Jesus said the greatest among you will be the greatest servant. I think a lot of leaders fall short of that, unfortunately. Alex J. Cavanaugh recently posted..Bourne Legacy Review, Ninja News, TV Trivia Answers, and Announcing My Next Blogfest! I agree. Jesus is a perfect model of servant-leadership. Serving others, with love and compassion…. We need to remember and practice this everyday, at work or play! Blessings! So true love is an essential ingredient as well in our service. Thank you for this rich helpful message. We need such reminders. Susie, yes he knows just what paths to take us down. Wishing you a blessed week. Hi Sandra, I’m grateful for the Word that I draw such nutrients from.